For all the sound and fury in the media about Ayodhya, the historical question is surprisingly simple: was there or was there not a Hindu temple at the spot known as Ram Janmabhumi that was destroyed to build a mosque? The answer is also equally simple — 'yes'. There are two parts to the question: was there a Hindu temple, and was it destroyed and a mosque known as Babri Masjid built in its place. Again the answer is — 'yes' to both questions. It is as simple as that. This is what I shall try and make clear in this section, by presenting the latest and the bare minimum amount of details necessary. A great deal has been written about all this, most of which is unnecessary while some of it is meant intentionally to confuse. The reader will see that when properly presented, there is little room for confusion. There are basically two sources for studying the history: literary sources and the archaeological record. Following the demolition on December 6, 1992, a great deal of archeological and historical information has come to light. Thus, much of the published material, as well as the controversy about previous temples at the site has been rendered moot by new discoveries following the demolition. What is presented here is a summary of the latest evidence — literary as well as archaeological. The Britannica, though generally regarded as an authoritative reference work is not a primary source. When we turn to the primary sources, the material available on the topic is so voluminous that one despairs of ever obtaining a simple, easily comprehensible account. One recent author (Harsh Narain, below) cites more than a hundred and thirty references in English, French, Hindi, Sanskrit, Urdu, Persian and Arabic. And I have identified several not found in his work. So the problem one is faced with is not a lack of material, but one of selection. Fortunately, Sita Ram Goel has compiled a two-volume magnum opus under the heading Hindu Temples: What happened to them? The second volume is particularly valuable in that it presents a comprehensive summary of the Islamic record, quoting chapter and verse from the primary sources. Even a cursory glance through these volumes leaves little doubt regarding either the destructive record of Islam in India, or the record of dishonesty and venality of the Secularists. The two volumes by Goel are an invaluable source for researchers, though, typically enough they are studiously ignored by Secularist historians and their allies in the media. For the lay reader, Goel has provided also a highly readable summary of the two volumes in his book Islam vis-a-vis Hindu Temples. It is recommended reading for every serious student of Islam in India. 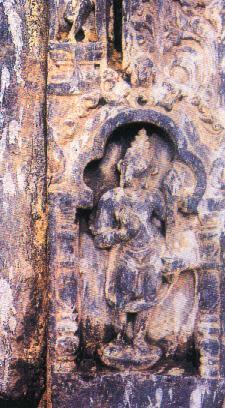 As far as Ayodhya itself is concerned, the most comprehensive discussion of the primary material available is probably the book The Ayodhya Temple Mosque Dispute: Focus on the Muslim Sources by Harsh Narain. We next go on to examine several of these sources provided by Harsh Narain. These sources are so numerous that we can only survey a few. But even this survey will suffice to show that until recently, until the Secularists created the so-called 'controversey', no author — Hindu, Muslim, European or British official — had questioned that a temple existed on the spot which had been destroyed to erect the mosque. We may begin with a few references from European writers provided by Harsh Narain. These are from published sources that are widely available. This indicates that Nanak visited Ayodhya shortly before the destruction of the Rama temple by Babar. Man Singh's book was written two hundred years later, which means that he was drawing upon existing traditions or some other source relating to Nanak's visit to Ayodhya. But another work by Baba Sukhbasi Ram gives a similar account, again suggesting that Nanak visited Ayodyha before the temple was destroyed by his contemporary, the invader Babar whose atrocities he condemned. 'These kings are nothing but butchers' said Nanak, refering to the Moghuls and others in his time. Before I get to the Islamic evidence, it is worth looking at an Indian account from the twelfth-thirteenth century period attesting to the atrocities of the Islamic invaders. It is preserved in the 'Bhuvana-kosha' section of the Garuda Purana, which throws light on the invasions of the Mlecchas and the Saindhavas (Arab occupiers of Sindh). 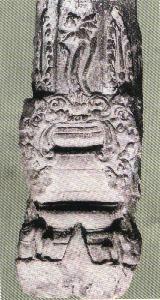 The 'Kumarika-khanda' of the Skanda Purana speaks of invaders based in Mulasthana or the modern Multan. So does the Kurma Purana. The Mlechchhas of the Himalaya region and the Turushkas of the North mentioned in the Bhuvana Kosha section [of the Garuda Purana] also reflect upon the Turkish conquest of Northwestern India by the Ghaznavids. The passage found in the Garuda Purana that the country was threatened by the Dasyus (dasyutkrishta janapadah) is also very significant and it reflects upon the age of terror and turmoil caused by the Turkish invasions. The alien invasions of such people, who destroyed the shrines and the roots of religion, viz, Deities, Brahmanas and cows, and also carried away the ladies. They defiled the tirthas, which also caused great terror. The freedom of the country was also imperilled after the fall of Prithviraja III at the hands of Muhammad Ghori after the second battle of Terain (1192 A.D.). The Pauranika points to the political blunder of the Chahamana ruler who was succumbed in [Sic] sensuous slumber in the company of his newly acquired wife Samyogita [or Samyukta]. We shall soon see that this is not very different from what Muslim chroniclers themselves tell us. But the Secularists would have us believe that there was no persecution and no mass destruction of temples. Going by their logic, both the victims and the perpetrators were subject to identical fantasies! So it was not just the wealth that was looted; Mahmud was responsible for uprooting Hindu learning from the places he invaded. This is not very different from the account given in the Bhuvana-Kosha of the Garuda Purana and other Hindu chronicles. From this we can see that the hostility between the Hindus and the Muslims has a thousand year history that surely cannot be blamed on the British! It is unnecessary to dwell too much on the documentary evidence since all questions about the pre-existence of the temple at the site of the Babri Masjid have been settled by archaeology, especially following its domolition on December 6, 1992. Actually the primary interest relating to the Muslim records is not so much in what they have to say, but in how there have been systematic attempts by Islamic and Secularist interests in recent years to distort and conceal them. This is what Arun Shourie has called 'Hideaway Communalism'. We shall be looking at this phenomenon in the next chapter, but here are a few excerpts beginning with Harsh Narain's observations on recent negationist efforts. Harsh Narain goes on to add: "It must be borne in mind that Mirza Jan claims to write all this on the basis of older records (kutub-i sabigah) and contemporary accounts." Except for its tone of triumph the account is not very different from what the Garuda Purana has to say. Similar accounts are found in a few other Puranas as already noted. Another interesting piece of evidence unearthed by Harsh Narain is a chapter in the book Muraqqah-i-Khusravi, known also as the Tarikh-i-Avadh. Its author is one Shaikh Azmat Ali Kakorwi Nami (1811-1893). He was a contemporary of Nawab Wajid Ali Shah and an eyewitness to the events of the era, including the failed Jihad to recover Hanuman Garhi from the Hindus. His work was completed in 1869, but languished in manuscript form for over a century in the Tagore Library in Lucknow. It saw the light of day only in 1986 when it was published by Dr. Zaki Kakorawi. But this was a censored version in which the F.A. Ahmad Memorial Committee which funded it removed crucial parts. The reason given for this extraordinary action was that Kakorawi's edition contained accounts pertaining to the Jihad against Hanuman Garhi. This, the Committee found politically unacceptable. Fortunately, a year later (1987), Kakorawi published the missing portion at his own expense under the title Amir Ali Shahid aur Ma'rakah-i-Hanuman Garhi. The author pointedly observed that "suppression of any part of any old composition or compilation like this can create difficulties and misunderstandings for future historians." (Harsh Narain: p 106) May our Secularists heed his words! What is there in the work that made the F.A. Ahmad Committee so sensitive? Well, here is the passage for the reader to judge. The translation is again by the redoubtable Zaki Kakorawi. It is important to note that the conscientious author of Tarikh-i-Avadhi used as many as eighty one books and manuscripts. The fact they were available to him in 1909 suggests that a few of them might lie concealed in some libraries and archives. In fact, as late as 1923, the book Asrar-i-Haqiqat written by the Hindu scholar Lachmi Narain Qunango assisted by Maulvi Hashmi confirms all of the above details. The book leaves one with the impression that many sources were still available to them, especially to the Maulvi who served as Pandit Lachmi Narain's munshi. It is to be hoped that they are not being destroyed in the interests of 'Secularism'. The Imperial Gazetteer of Faizabad (1881) confirms the construction of three Moghul mosques at Ayodhya on the site of three celebrated shrines: Janmasthan, Swargadwar and Treta-ka-Thakur. Archaeological Survey of India tells us that Mir Khan (on Babar's orders) built the mosque at Janmasthan using many of its columns. 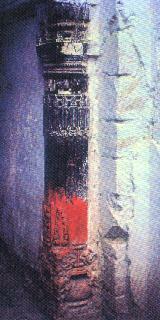 Aurangazeb had the other two mosques built. We see therefore that demolition of temples and replacing them with mosques was a systematic practice under Moghuls. It was simply a continuation of earlier policies of all Muslim rulers as both Hindu and Muslim records testify. Spoken like a true child of Aurangazeb! Mirza Jan is not the only writer to cite this work. Mirza Rajab 'Ali Beg Surur in his work describing the destruction of the Rama temple at Ayodhya states that in the Sahifah-i Bahadurshahi (as the work was also known) "it has come to be described in detail with reference to year and date. Whoever may choose may look into it." (Harsh Narain: pp 25-26) This last remark suggests that the work was widely available in the nineteenth century, possibly even in print. It evidently contained details concerning the destruction of the temple and the building of the Babri mosque at Janmabhumi. Then there is the evidence of the three inscriptions at the site of the mosque itself, at least two of which mention its construction by Mir Baqi (or Mir Khan) on the orders of Babar. Babar's Memoir mentions Mir Baqi as his governor of Ayodhya. Some parts of the inscription were damaged during a riot in 1934, but later pieced together with minor loss. In any event, it was well known long before that, recorded for instance in Mrs. Beveridge's translation of Babur-Nama published in 1926. Overwhelming as all this evidence is, the archaeological evidence is even stronger. Until recently, much of the evidence was literary, based on accounts in chronicles, supplemented by some archaeology around the site. Even then, archaeology left little doubt regarding the existence of a previous temple at the site at which the Babri Masjid is situated. Ayodhya has drawn the attention of competent archaeologists including a few internationally known experts like B.B. Lal and S.P. Gupta. As a result, the volume of data available is huge running into several volumes. Some of it has probably been rendered obsolete by discoveries following the demolition of December 6, 1992. They settle once and for all the question: Was there a Hindu temple at the site before Babri Masjid was built in 1528? Let us next look at what archaeology has to say about the Ayodhya site. The first point to note is that Ayodhya lies in a region that is generously watered, and has therefore been densely populated since time immemorial. As a result, archaeological work at Ayodhya is more difficult, and has not been on the same scale as at Harappan sites lying a thousand miles to the west. And for the same reasons, luck plays a large role in the success of any exploration at Ayodhya, which is true of archaeology in general. Here is what a leading archaeologist, Dr. S.P. Gupta (former director of the Allahabad Museum), has to say about recent excavations at Ayodhya. Gupta probably has the most extensive experience among the archaeologists to have explored the site. 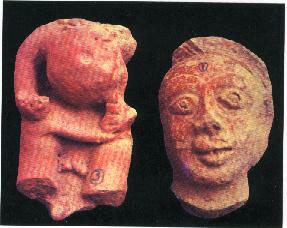 From 1975 through 1980, the Archaeological Survey of India under the Directorship of Professor B.B. Lal, a former Director General of the Survey, undertook an extensive programme of excavation at Ayodhya, including the very mound of the Ramajanmabhumi on which the so-called "Janmasthan Masjid" or Babri Mosque once stood and was later demolished on 6th December 1992. These objects included a number of amakalas, i.e., the cogged-wheel type architectural element which crown the bhumi shikharas or spires of subsidiary shrines, as well as the top of the spire or the main shikhara ... This is a characteristic feature of all north Indian temples of the early medieval period and no one can miss it — it is there in the Orissa temples such as Konarak, in the temples of Madhya Pradesh such as Khajuraho and in the temples of Rajasthan such as Osian. There was other evidence — of cornices, pillar capitals, mouldings, door jambs with floral patterns and others — leaving little doubt regarding the existence of a 10th - 12th century temple complex at the site of Ayodhya. So Lal had been right in believing there was an earlier temple — prior to the one destroyed by Babar. More discoveries were made following the demolition of December 6. All these discoveries leave no doubt at all about the true picture. And finally, the temple was destroyed sometime after the 13th century AD, in every likelihood in the early 16th century, as is fully borne out by the inscriptions of Mir Baqi found fixed in the disputed structure from back in time, during the British days as is clear from the accounts given by Mrs. A. Beveridge in her translation of Babur-Nama published in 1926. So archaeology also leaves little doubt about the existence of the prior temple. Then came the explosion of Decembr 6, 1992. This demolished not only the Babri Masjid but the whole case of the Secularists and their allies. It revealed a major inscription that settles the question once and for all. In any other society, these inscriptions and other archaeological artifacts would not only be greeted with glee — as Biblical scholars did the Dead Sea Scrolls — but there would also be a mad scramble among researchers to see what new discoveries they could make. But the Secularists' reaction was the exact opposite of this: they wanted the whole thing suppressed. They claimed, without examination, that all the two-hundred and fifty odd pieces of epigraphical records were forgeries planted during the demolition, and demanded a police investigation. This is a point worth noting: they wanted not an investigation of artifacts by scholars, but a police investigation. Gupta is an archaeologist and not an epigraphist trained to read ancient inscriptions. It was examined by Ajay Mitra Shastri, Chairman of the Epigraphical Society of India. Shastri gave the following summary. 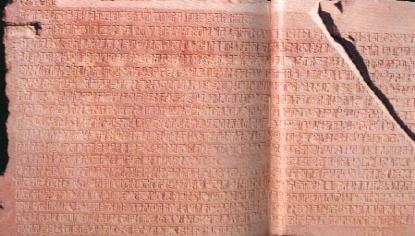 What the inscription tells us is of monumental significance to the history of Medieval India. Need we say more — a temple for Hari-Vishnu who killed the ten-headed Ravana, in the temple city of Ayodhya? So Ayodhya was known as a temple city even then; Saketa was the ancient name of the district. 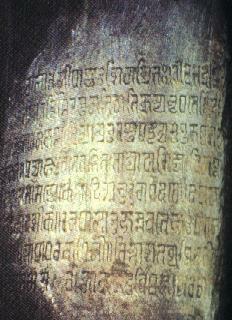 The inscription confirms what archaeologists Lal and Gupta had earlier found about the existence of a temple complex. And yet the Secularists and their allies have been telling the world that there was no temple! 1 All the literary sources without exception, until the Secularists began their negationist masquerade, are unanimous that a Rama temple existed at the site known since time immemorial as Rama Janmabhumi. 3. Archaeology records at least two destructions: the first in the 12th-13th century; the second, later, in all probability in the 16th. This agrees well with history and tradition that were temple destructions following the Ghorid invasions (after 1192 AD) and restored, and was destroyed again in 1528 by Babar who replaced it with a mosque. This is the famous — or infamous — Babri Masjid that was demolished by kar-sevaks on December 6, 1992. These facts drawing upon several literary and archaeological sources leave no doubt at all that a temple located at a site sacred to the Hindus was destroyed to build a mosque under Babar’s express orders.